Norwegian company Listen a start up in Oslo has just raised funding to move forward with its product to market. The company has designed a digital hearing helper app, which when combined with a Smartphone and earplugs gives the ability to hear better in different situations. The product offers custom amplification of sound to match a user's hearing ability. There are separate sections for music listening and a filter for voice enhancement. In essence the app turns a smartphone into a hearing aid by using the microphone to capture sound which it digitally processes and utputs through the ear phones. The company is currently planning to manufacturer it's own hardware ( headphones or headsets) because they feel the different hardware on many of the different smartphones may not be up to scratch. The app has both noise reduction and directionality features which they feel are not done justice through the existing smartphone hardware. So it makes sense for them to design and manufacture proprietary hardware to deliver the very best experience. They have had exploratory talks with several major technology companies that could participate in the development of the earplugs. 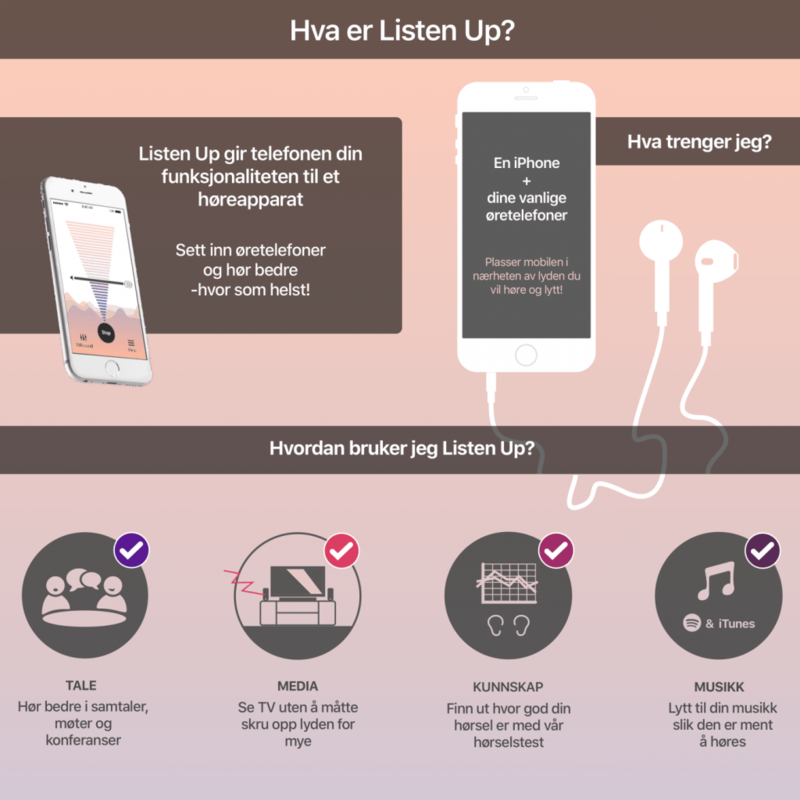 While the infographic below is in Norwegian, I think it gives a good idea of the power of the app. 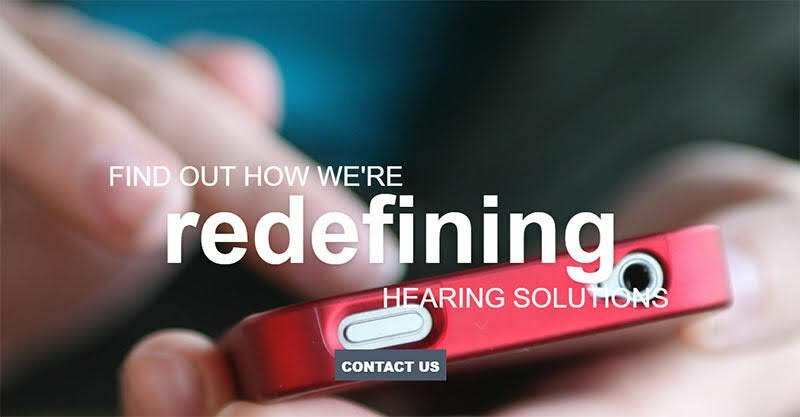 The company believes that their product will be ideal for people who feel they only need a hearing aid in certain situations. 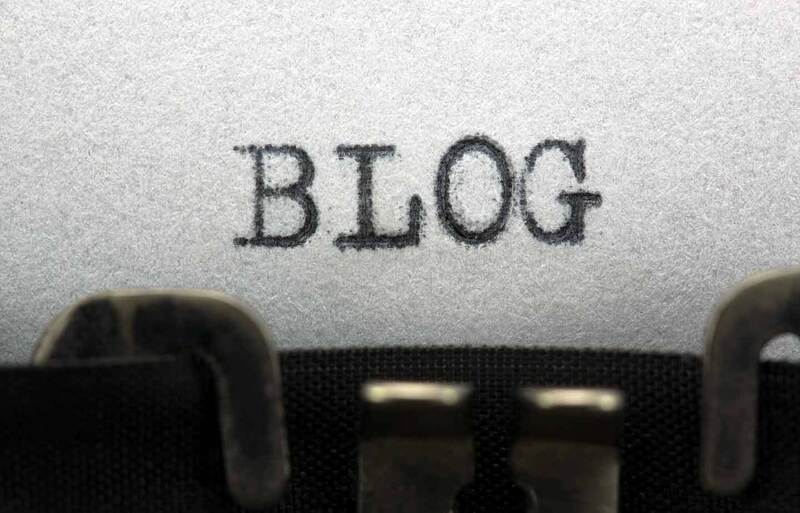 Situations with a lot of noise, where people with even relatively minor hearing problems have difficulty. The envisage servicing the group who need hearing support "on demand." In fact there has been several introductions aimed at this group including BOSE HearPhones of late.